Wireless Radiation is NOT SAFE for Children – National Toxicology Program findings indicate “Go Wired” campaign urgently required to protect children. In the dark recesses of every parent’s mind lives a niggling question “Are wireless devices safe”? While oncology and epidemiology researchers have expressed concerns regarding wireless radiation safety to various levels of health and education governments, the public continues to be reassured that wireless devices are safe. But are they PROVEN to be safe, and if so, what levels of wireless usage are okay for children? This article presents recent research by the National Institute of Environmental Health Sciences (NIEHS), National Toxicology Program (NTP) implicating wireless devices as a causal factor in two types of cancer, heart Schwannoma and brain glioma. Compiling this recent NIEHS/NTP data conducted on animals, with already existing human epidemiological research, and rising incidence of the same two types of cancer, raises serious concerns about wireless radiation and human safety. France is banning all wireless devices including cell phones from all public schools starting September 2018, and California Public Health is actively educating their public regarding risk of harm from wireless radiation. Children are more vulnerable to wireless radiation than adults due to thinner skulls, more aqueous bodies/brains, and higher rate of cell turn over. Until research proves wireless devices are safe, and adequately defines what levels of radiation are safe for different ages, immediate steps must be taken to remove wireless radiation from all areas where children reside. “Go Wired” is a global campaign advocating for replacing wireless with wired internet, and relocating cell phone towers away from facilities which serve children. These life sustaining initiatives will ensure immediate safety for children (including unborn fetuses) from dangerous effects of wireless radiation in their home, school, clinic, and other community settings. All devices which operate using electricity emit radiation. Wired or corded devices have insulated cables, preventing leakage of radiation into the surrounding environment. Wireless devices such as routers, cell phones, and tablets, as well as emissions from cell phone towers, are NOT insulated. To effectively transmit and receive signals, wireless devices emit a type of radiation termed radiofrequency radiation (RFR) measured in hertz. Wireless cell phones and tablets emit high levels of RFR due to multiple antennae are seeking a wireless signal ~ 900 times per minute. There is no way to shield children from wireless radiation, as the shield would prevent normal operation of the device. Wireless radiation penetration to the user is highest when closest to the device, and increases with duration of device use e.g. distance and duration. Other factors which increase radiation exposure are multiple device use and/or closeness to other device users, distance from wireless radiation transmitting tower e.g. 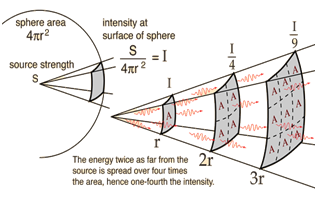 device “works harder” to find source, and areas of higher concentration of wireless radiation e.g. multiple cell phone towers. As wireless radiation is now likely to be reclassified as a ‘probable’ 2A carcinogen, accumulated changes to cellular structure and function not only across the life span, but also genetic DNA damage passed onto children from mothers exposed to wireless radiation, require immediate research attention and consideration. Why was the public not warned? Wireless radiation is electromagnetic in nature, disrupting bioelectric charges found in human cell walls and structure which would in turn negatively impact cellular DNA and mitochondria. Despite knowledge regarding biological effects to cellular structure and function from wireless radiation, 20 years ago the International Committee on Non-Ionising Radiation Protection (ICNIRP) set guidelines that only apply to heating effect from microwave radiation, guidelines which are still referenced by today’s governments to prove safety of wireless radiation. Subsequent research only investigated the thermal effects of RFR and determined in 1998 that ‘heat’ from RFR was not harmful to humans, resulting in Health Canada’s widely referenced Safety Code 6 which to this day, states that wireless radiation is safe. Health Canada and the Federal Communications Commission created a measure termed Specific Absorption Rate (SAR) which is defined as the rate that body tissue absorbs radiation during cell phone use. Maximum SAR levels for adults were determined by measuring thermal, not biological effect for wireless devices, and was set at a SAR level of 1.6 watts of energy absorbed per kilogram of body weight. There are no known safe levels for wireless radiation based on measurements of biological changes to cellular structure and function. Despite increased vulnerability of children to wireless radiation, maximum SAR levels for children are the same as adults. When should the public have been warned by government? 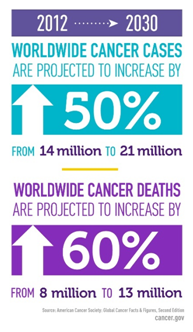 As cancer incidence increased, and epidemiological research accumulated showing cancer was associated to wireless radiation from cell phones and laptops, in 2011 the World Health Organization – International Agency for Research on Cancer (WHO-IARC) classified radiofrequency radiation as a Group 2B ‘possible’ human carcinogen. In 2016, preliminary findings from the National Institute of Environmental Health Science – National Toxicology Program (NIEHS-NTP) long-term bioassays on RFR which measured biological effects of RFR in rats, indicated adverse effects of RFR on rat cellular structure and function, ultimately resulting in two types of cancer: malignant glial tumors of the brain and heart Schwannoma. The NIDHS-NTP study exposed rats to 2G and 3G radiation from a cell phone ‘placed in their cage’ (not on their body) 9 hours per day for a 2-year duration. Final results from the NIEHS-NTP study released in January 2018 were subjected to expert panel review which concluded on March 29, 2018 “clear evidence” for heart Schwannoma and “some evidence” for brain glioma. 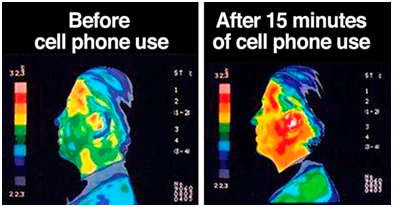 Most importantly, the type of cells that became cancerous were the same type of cells found to cause tumors in human studies of cell phone radiation exposure, also showing an increase in Acoustic Neuromas (tumors of the ear) found in earlier human studies. The Ramazzini Institute recently released the largest rat study of its kind which focused on exposures from cell towers with levels of wireless RF radiation exposures 60-1000 times lower than the levels tested in the NTP study, and found the tumors observed in the NTP study are of the type similar to the ones observed in some epidemiological studies of cell phone users. Who did try to warn the public? Christopher Portier, Ph.D., retired head of the NTP who was involved in the launch of the NIEHS-NTP study, insisted the findings showed clear causation. “I would call it a causative study, absolutely,” he told Scientific American. “They controlled everything in the study. It’s because of the exposure”, (referencing detected cancer). In November 2016, David McCormick, Ph.D., director of the Illinois Institute of Technology Research Institute where the study was conducted, was equally clear, telling reporters, “What we are saying here is that based on the animal studies, there is a possible risk cellphone RF is potentially carcinogenic in humans. These are uncommon lesions in rodents, so it is our conclusion that they are exposure related.” Despite large scale, government-run studies showing biological harm from wireless radiation on animals, neither Health Canada nor National Institute of Health have acted to warn the public regarding these risks. Why aren’t wireless device manufacturers warning users of wireless risk? Product warnings by wireless device manufacturers advise users to hold wireless devices 1” away from head and body to reduce thermal (not biological) effects, which is where SAR levels are measured during product design and manufacturing. This paltry initiative is further diluted by the fact that few wireless device users are even aware of this safety warning, as manufacturers routinely bury it in small print on product monographs, and many users habitually place device either right next to their head, in pockets, or on their lap. While SAR levels have stayed under the 1.6 maximum allowable watts, Apple iPhone SAR levels have DOUBLED since the Apple 3 was introduced (see below). Again – SAR levels are in regard to thermal effects from wireless radiation; presently there is no research data indicating safe levels of wireless radiation regarding biological effects. Additional harm (which is not referred to by either government nor wireless manufacturers) accrues when wireless device users log high durations of exposure, use multiple devices at the same time, are exposed to second hand radiation from users close by, are young with more vulnerable bodies and brains, and are using devices in an area with highly concentrated radiation such as is found in many intercity locations where multiple towers co-exist. What actions are required to create safe and sustainable environments for children? Recommendations from NIEHS-NTP study should include reclassification of wireless radiation from Group 2B ‘possible’ to Group 2A ‘probable’ carcinogen (same level as cigarettes and asbestos). As reclassification of wireless radiation and protective recommendations by health governments could take years, as did regulations to use protective lead shields with pregnant women, suggestion is to “Go Wired” e.g. use only ‘wired’ devices. Following are steps toward creating sustainable future for all children. Go Wired – disconnect routers from modems and plug all wireless devices directly into modem. This effectively means banning all wireless devices (including cell phones and non-convertible laptops and tablets) from all homes and facilities that service children and pregnant mothers e.g. daycares, preschools, schools, child development centres, medical clinics, hospitals, restaurants, stores, airports, parks, recreation centres etc. Off or Airplane Mode – adults carrying cell phones (and other wireless devices) must either turn off device or convert device to ‘airplane mode’ when servicing or interacting with children and pregnant mothers. Removal of Cell Phone Towers – from aforementioned areas which provide services to children and pregnant mothers. Precautionary measures for adults include increasing the distance, duration and frequency of wireless device use, reduce multiple device use, and reduce exposure to high wireless radiation areas. Every 1” increased distance away from wireless device, equates to 10 times reduction in radiation e.g. 10” distance reduces radiation 100-fold. 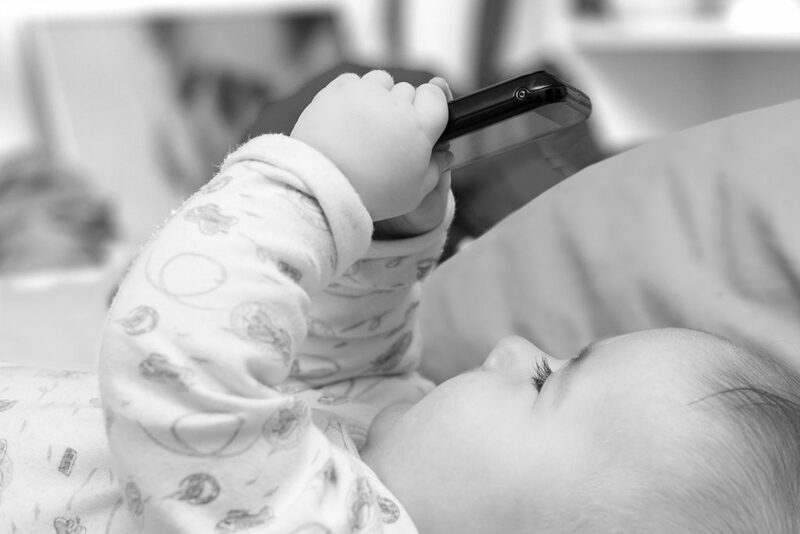 This article was written by Cris Rowan, pediatric occupational therapists, biologist, author and international speaker on the impact of technology on children. Cris’s website is www.zonein.ca, blog is www.movingtolearn.ca, and book is www.virtualchild.ca. Cris can be reached at info@zonein.ca. Join the “Go Wired” movement today by sharing this article with members of your School Board, and advocating for banning wireless radiation from areas where children frequent. Start by asking “Show me documentation proving wireless radiation is safe”? Based on data presented in this article, it is not acceptable for School Boards to default to Health Canada’s Safety Code 6. ← Stop School Mass Shootings? Go after the video game and pharmaceutical industries. SHOCKING. And we all continue to be wireless… I can foresee everyone suing cellphone companies in the future. We need to promote “GO WIRED” far and wide – is there a logo designed by anyone?? Great idea Suzanne about promoting GO WIRED campaign. Cecelia Doucette with Wireless Education (see below) might be interested in launching this? Is there any hope of any of these changes being implemented? Or are we going to be victims forever? It seems this issue (like so many others that are detrimental to our health – GMOs, glyphosate, big pharma, etc, etc) are under deep control. But I would love to think there is hope!! Follow Wireless Education initiatives with US Govt at http://www.wirelesseducation.org. They are actively educating govt and pushing to stop implementation of 5G. Understand that seeing effects of wireless will likely be second generation e.g. it will be our children’s children who will be most severely affected. The need to act now is essential if we are to create sustainable futures for our children. Good article – much better than most. However, item 3 – removal of cell towers. Yes, but as usual doesn’t go far enough. Wifi/wimax also needs to be removed – it may be even more disruptive than phone radiation – and the scope of removal needs to be widened . Children and pregnant ladies use public transport, parks, public buildings, cafes, restaurants, shopping centres, supermarkets etc. all of which are usually infested by radio-frequency radiation. This is involuntary exposure without informed consent, and is a clear breach of human rights as well as the Nuremberg code. There are simple solutions to most of the ‘problems’ this would cause. Humanity somehow survived for thousands (millions?) of years without this stuff – curtailing it slightly would not bring about the end of civilization as we know it.